Nearly seven million young people will be newly eligible to vote this November. And contrary to what most might think, a recent study of how these voters engage in politics using new media shows they're paying close attention. “A lot of what we’re trying to understand is the way in which [using new media] might be related to the ways in which young people are being active politically,” said the study’s co-author, Joseph Kahne. 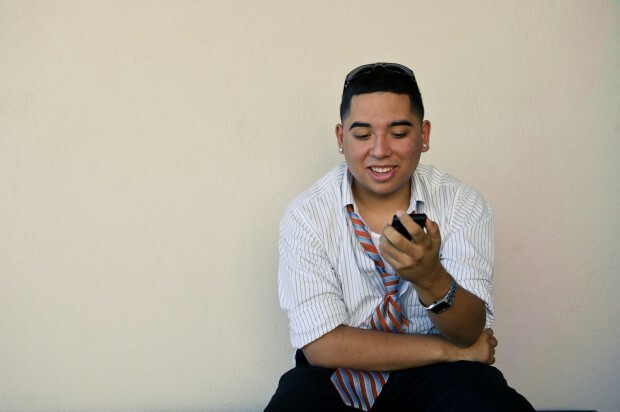 Of the 3,000 young people age 15-25 surveyed in the study, Participatory Politics: New Media and Youth Political Action, 41 percent reported using these online activities to engage in political discussions or actions. That could be anything from sharing a video of Mitt Romney giving a speech to the NAACP, to signing a petition on Change.org asking Seventeen Magazine to quit photo-shopping pictures of its models, to tweeting about the violence in Syria. Last winter, “online activism” became the subject of searing critique after a video about African warlord Joseph Kony made the rounds. The error-ridden video racked up close to 20 million views on YouTube and Vimeo in just a few days and raised millions in real dollars for the non-profit that produced it. Critics were quick to site ill-informed youth as the primary culprits. Kahne’s study, which was co-authored by Cathy J. Cohen of the University of Chicago, focused more on the fact that the conversation was taking place, and its real-world impact, than the content of the conversation young people were having. “Even when [using new media] is becoming a part of all our practices, we still often imagine it the way they used to be,” Kahne said. This, he said, is a mistake. So much of the flow of information and discussion of new ideas and mobilization of movements from Occupy to the Tea Party are happening online now, and it would be folly to ignore the shift. The other primary finding of the study showed that the digital divide between young people of different ethnicities appears to be shrinking. “Overwhelmingly, white (96%), black (94%), Latino (96%) and Asian American (98%) youth report having access to a computer that connects to the Internet,” the study reported. 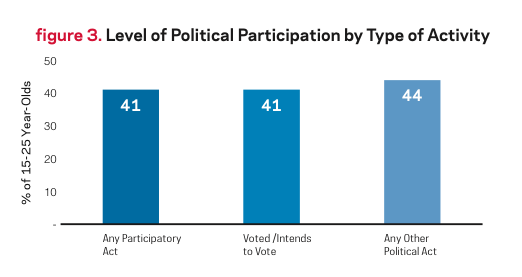 And when all types of political engagement—participatory politics and institutional politics like voting or helping with a campaign—are taken into account, it’s black youth who are the most engaged. Several youth organizations in Oakland, where Kahne is based, have taken the task of getting kids engaged in politics to heart. In partnership with the school district’s educational access television station, KDOL, these organizations have hosted several conversations between students and local leaders. Lawrence interns for the KDOL-based Media Enterprise Alliance, which teaches students video and multimedia production skills. The program also helps students create news reports on issues of interest to them and their peers. Lawrence said a lot of kids may think they aren’t interested in politics. “But there’s a good, significant portion of teenagers out there who have an interest that could be built upon,” he said. The message to politicians hoping to pull in the youth vote this fall? Get online. The kids are waiting for you.